There are many reasons to host a corporate event or your own conference. But pulling off a successful event is tougher than it looks. There’s not a checklist or manual that will cover everything you need to know. That’s why having a team of experienced professionals on your side is paramount. We plan, design, and manage memorable corporate events and conferences. Our corporate event marketing experience runs the gamut from theme ideation to booking venues, and even negotiating accommodations. But as importantly, we’re know how to create communications that drive event registration and experiences that generate excitement. 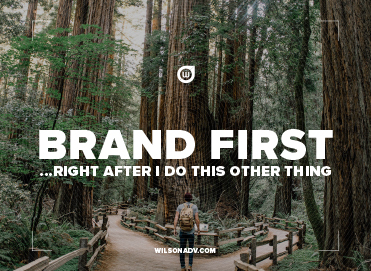 Are You Putting Your Brand First? Brand First is our guiding principle to ultimately differentiate organizations and create long-term value. Corporate Events are great way to bring all of the players critical to your success together and make a huge impact. But it takes experience and careful planning to pull it off. Missteps can mean opportunities that are lost forever. We can show you the path to success. Conferences offer a unique opportunity connect with customers, share your new ideas, and gather feedback. The great thing? Customers want to go to a great conference. The trouble? They’d rather do anything else than go to a bad one. We’ll make sure yours has them raving before and after. Launching a brand into the market is one of the most critical events a company will ever undertake. It can make or break a business, not to mention a career. Getting it right takes a deft hand, one that knows to push enough without going too far. Our touch at the controls will guide your success.